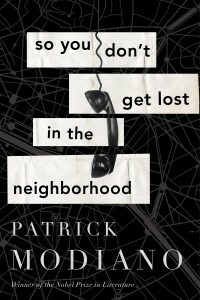 2014 Nobel Prizewinner Patrick Modiano’s So You Don’t Get Lost in the Neighborhood is a curious novella that subverts the noir genre with a story more about narrative and memory than any specific mystery. When Jean Daragane gets an intrusive phone call from a gambler named Gilles Ottolini who claims he found Daragane’s address book, Daragane derails his quiet solitary life in search of a shared mystery buried somewhere in his past. Modiano starts his short novel with “almost nothing,” “like an insect bite that strikes you as very slight.” The reader must feel their way through the narrative darkness and piece together a scene with what few details Modiano feels like offering. He begins his mystery with a phone call and asks not just who is calling but who the receiver, Jean Daragane, really is. 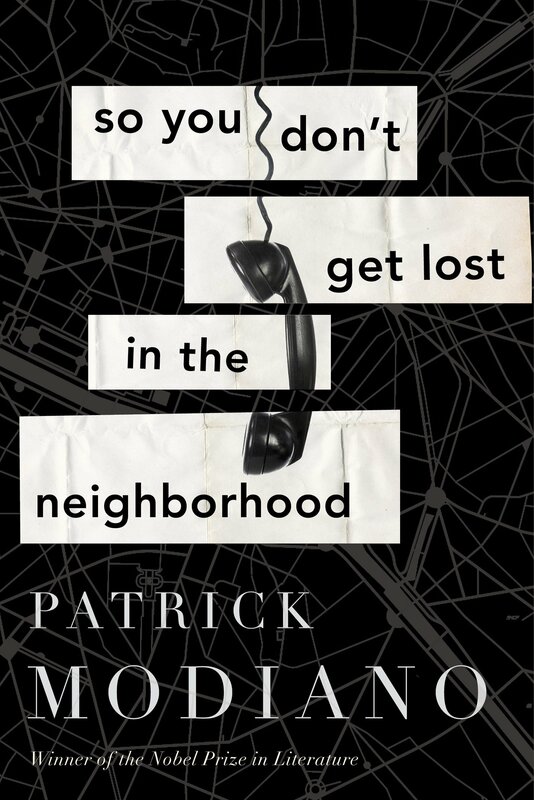 Much of So You Don’t Get Lost in the Neighborhood has the same effect, and while this is clearly Modiano’s plan, Daragane’s weariness is contagious and makes the novella somewhat difficult to endure. While there may not be an encrypted message for everyone in So You Don’t Get Lost in the Neighborhood, Modiano’s crafted a powerful little experiment about self-reflection and searching for some hidden resonance. It is a book to get lost in with a plot to lose, and potentially capable of revealing something unsuspectingly profound. Just completed this book – the ending was abrupt and left the story dangling. What are your thoughts on the ending? To be completely honest, I had to revisit the ending because I didn’t recall anything particularly thoughtful about it at all. As I mentioned in the review, I think Modiano is much more interested in dissecting the nature of these kinds of stories than writing and solving an actual mystery. I feel like he painstakingly tries to avoid resolving anything, to try to teach us a lesson instead about why we read and why we read mysteries. Trouble is, in order to get to that place where he can discuss these themes on a theoretical level, he had to lay out what looks a lot like a traditional mystery story. Abandoning those threads for the sake of something conceptual is a bold move and I think I get why he did it, but I, too, think his decision landed abruptly and leaves things feeling unfinished.